Chocolate Chip Oatmeal Bites. 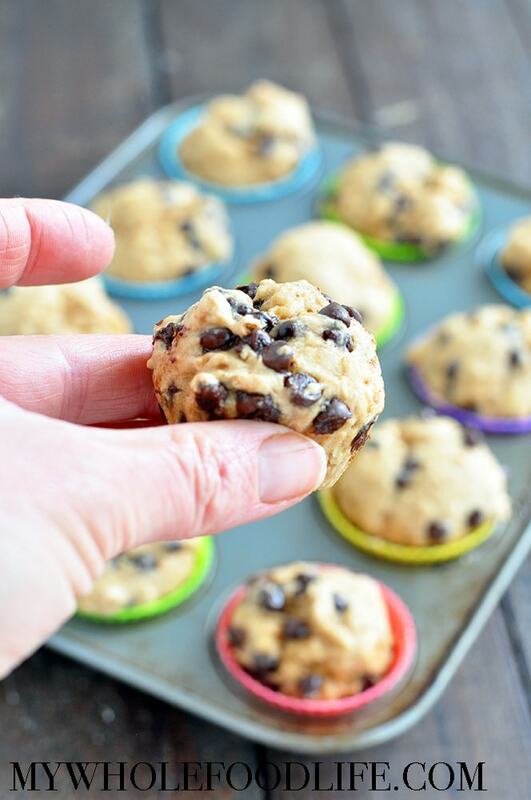 These healthy bites are very kid-friendly and perfect for little hands to grab. Who doesn’t like chocolate for breakfast? If you liked my coffee chocolate oatmeal bites, then you will love these!. I actually thought about putting the coffee extract in these and then decided not to at the last minute. If you like chocolate for breakfast I highly recommend my Chocolate Almond Butter Overnight Oats too. 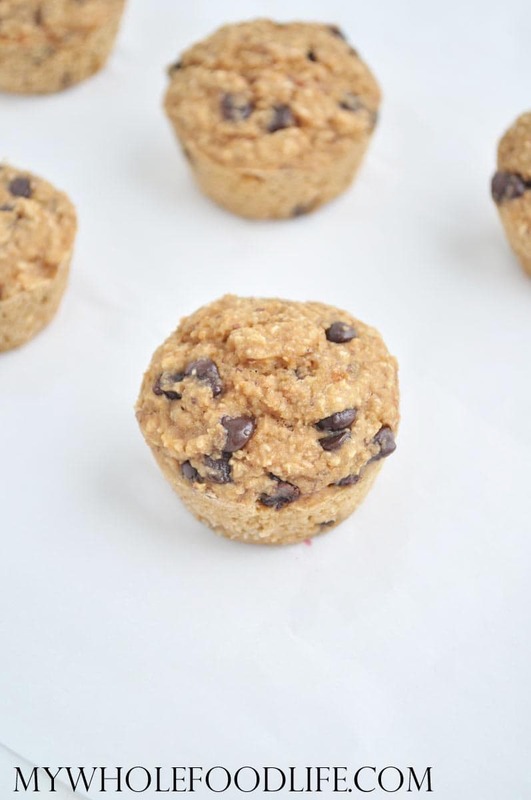 These little oatmeal bites are gluten free and vegan. If you are not a fan of chocolate, some chopped dates or raisins would be good as well. If you went with the dried fruit, I suggest adding some cinnamon too. That would be good. These little bites are great for on the go and they freeze well too! In another bowl mix the wet. 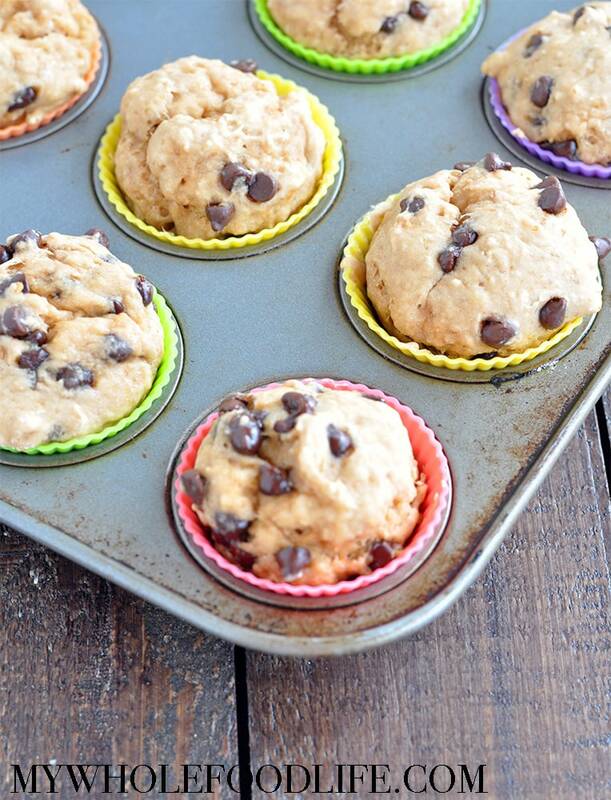 Spoon batter into greased mini muffin pans . Let the muffins cool before removing from the pans. They should last a couple weeks. You an also freeze them for longer. Enjoy! Can I use and unrefined sugar like dates?